My 4 year old daughter Ariyah decided she wanted to be little red riding hood. 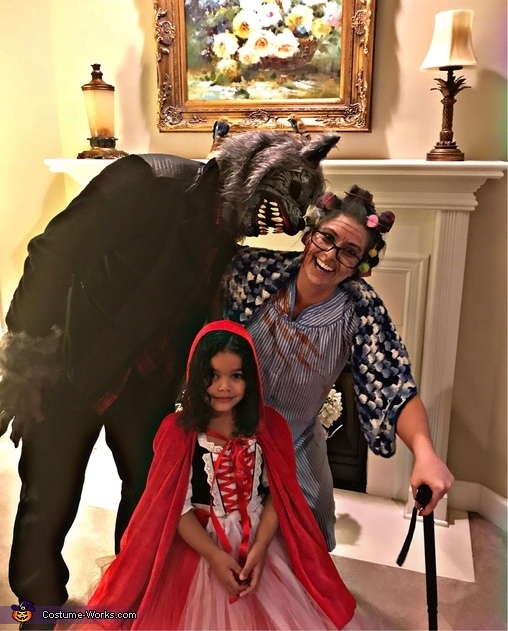 She wanted me to be the grandma and her father the big bad wolf. I made her tutu for her costume. My friend did my special effects makeup with liquid latex and wax. We had a wonderful time. She was a gorgeous little red riding hood.